"I look at mechanisms of power, which are the boardrooms, and I don't see a lot of diversity in that"
Manchester City captain Vincent Kompany believes the issue of racism in football runs deeper than individuals or groups of supporters directing abuse at players. This week, Liverpool forward Mohamed Salah was the target of an alleged racist chant by several Chelsea supporters, with both Chelsea and the police looking into the matter, while Arsenal are investigating a video circulating on social media purporting to show one of their supporters directing a racist insult at Napoli player Kalidou Koulibaly. 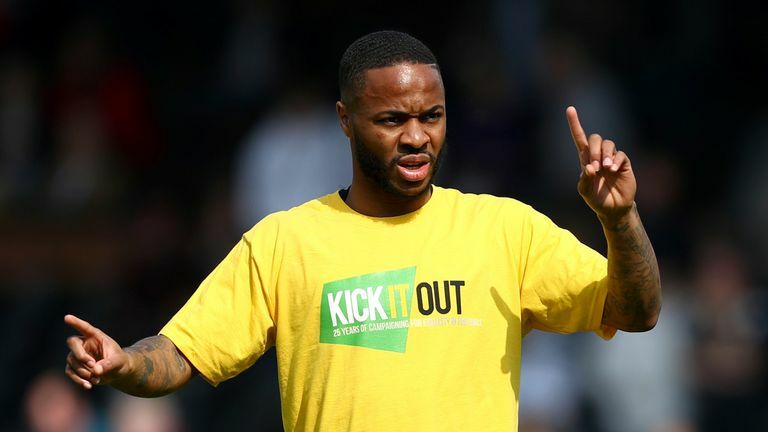 The incidents follow a number of high-profile cases in recent months, with Kompany's club-mate Raheem Sterling the victim of alleged racial abuse at Chelsea late last year and while on international duty with England in Montenegro last month. Speaking exclusively to Sky Sports, Kompany said he wants to focus not just on the individuals, but also on the representation in boardrooms across clubs and various institutions. 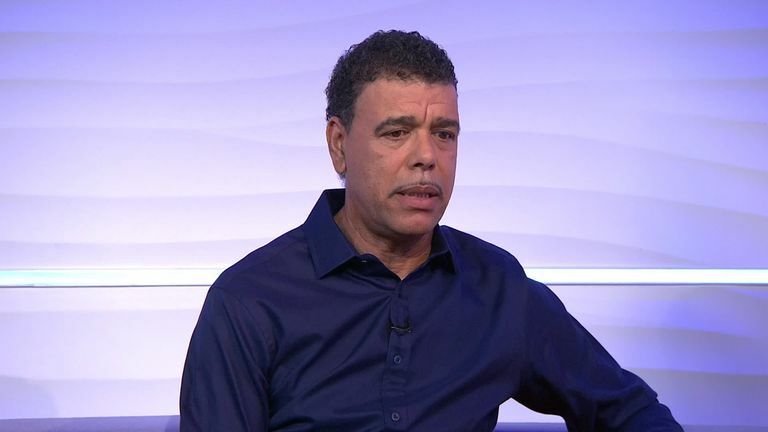 He said: "The upturn in racist abuse is worrying, but at the same time it is something that is good to be discussed so much, for us to ask ourselves the right questions. Is this something we want for the future of the game? For the future of the society our children live in? "I think I have a slightly different perspective on it. I don't necessarily want to focus so much on the individuals doing it - okay a bloke or a woman steps into a stadium and behaves in a stupid way that defines that person more than it defines the people on the pitch - and if it's a group of them it obviously has wider implications because it represents more than just one individual. "But the key thing for me is, I look at it in a bigger way. We talk about the issue of the media not often portraying players, even without knowing so quite often, not portraying players from a different colour of skin the same way as players that are perhaps looking more like native players. "The issue is a little bit more deeper. I look at boardrooms, I look at mechanisms of power, which are the boardrooms, and I don't see a lot of diversity in that. "When you ask for them to come up with policies to change the situation, you wonder whether the constitution of those boardrooms are capable of thinking and coming up with the appropriate solution, because there's no diversity in most institutions of power. "I'm more concerned about that. I would like to see more people of a diverse background actually being the bosses, editors-in-chief, the people that actually decide on what the public agenda is. I think that would make a big, big difference and would have a much bigger impact than just a punishment of individuals who probably carry a lot of their own problems on the table when they come to the stadiums, and frustrations and whatever. "I feel I'm above these people in terms of what I've been able to achieve, but what I do realise is that the glass ceiling is still there, very present. That's the one that needs to be broken down." 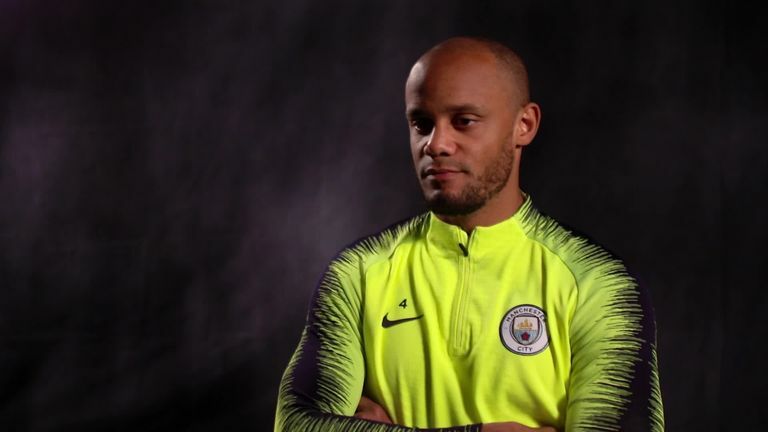 Asked if he believes the issue of racism runs wider into society, Kompany replied: "I still think there's a clear lack of opportunities, but if you look at it, obviously opportunities come through your network, the people that you know. Sometimes where you're from defines it a lot of the time, it's common knowledge whether you've studied at Oxford or Cambridge will make a difference as to where you can perhaps aim to go in life. "If you look at people from a diverse background, what the network is really capable to do for them, it's very limited. A lot of these institutions, there isn't really a path to go all the way to the top. "It's when you're at the top you can decide an agenda for people to not just talk about, but also abide by." 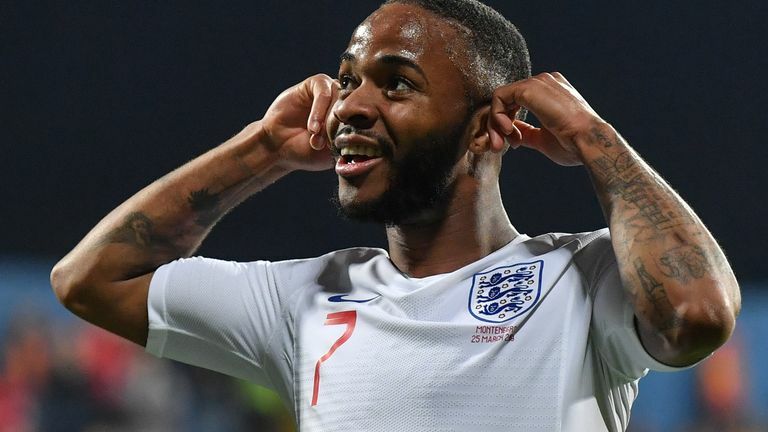 Kompany's team-mate Sterling has faced intense scrutiny throughout his career, from his £49m transfer from Liverpool to City in 2015 to media criticism of his lifestyle, and he was recently one of several players who suffered racist abuse while playing for England against Montenegro. The City winger responded to the incident in Montenegro by tweeting, '#getsomeeducation', while he hit out at Leonardo Bonucci's comments that the racist abuse suffered by Juventus team-mate Moise Kean was partially his own fault. 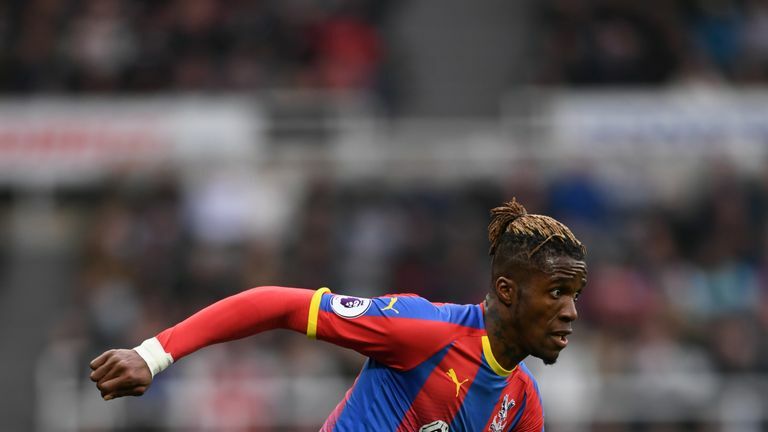 And Kompany, who has played with Sterling for four years, said the "humble" 24-year-old should be seen as an example for young children to follow. "When you play with someone, you spend most of your day with the person, so I see Raheem as a very humble person, someone that really isn't flashy in many ways, but of course he's part of this generation where it's okay to show what you have, to show that you do well," Kompany added. "I don't really make a big distinction between him or players that maybe are of a different colour of skin doing well at the same age. But it's clear that the image that comes across through the media is completely different than what I know him as. "He's very, very humble, willing to learn. An example for a lot of young kids, especially where he comes from. He should be portrayed as an example, and when you see how we are trying to brand him, you can see there's a disparity. "But, what I'm saying is, there's a part of me who wants to believe it's not even done in a malicious way, it's just a lack of understanding. There's people there who still think it's okay to do it this way, there's people who have not even realised they're maybe doing it this way, and I think that's because there's a lack of perspective within the highest powers of these organisations. 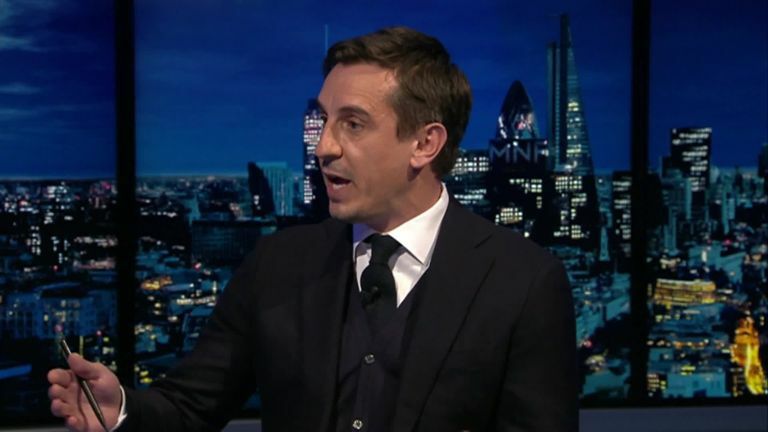 "That's why I'm saying, you know what, the bloke at Chelsea who was [allegedly] abusing Raheem, this guy is irrelevant to me, personally, because Raheem is so much better than this and so much stronger than that. "But the thing we can't do anything about is the glass ceiling to get higher up, to be a part of these institutions that ultimately decide what the agenda is for people. "And that's the real issue. If I see Raheem now going through what he's going through, I hope that where we get to in a few months or years from now, whatever time it takes, is to a society in which that glass ceiling is completely smashed to pieces; where if we want to get in the boardroom, if you want to be part of people that actually decide where this country is going to, we can do it. That's more important to me now."